Intertek provides insights into how the regulations in China are shaping up and the potential effects on industry. Food contact materials (FCMs) in China are regulated under the China Food Safety Law. The current Food Safety Law prohibits the importation, use or purchase of food-related products (e.g., food additive, food packaging materials) that are not in compliance with the applicable Chinese Food Safety Standards. Understanding and navigating the regulatory environment is challenging in an emerging market like China, especially since food packaging and other food contact regulations are being dramatically modernised and updated to address the rapid advances occurring within the areas of food packaging, processing and handling. After more than five years in development, the regulatory reframing process for FCMs will be entering its final phase by the end of 2016. The intent is to deliver well-structured and detailed regulatory legislation that addresses food safety concerns. This will include guidance on the management of Food Contact Registration in China, the migration and model prediction of migrating substances from food packaging. There will be updates on the positive list of food contact additives. In regards to additives used in FCMs, there will be one list of additives for all materials. On this list, each material will be covered individually under the new version of the additive standard GB 9685 (GB = GuoBiao = Guóbiāo = National Standard). While for plastics, there will be lists for substances covering most products, which are currently permitted for use in Europe and the USA. The list of substances used for rubber products will be significantly different from European member states listings, as many of the substances used in EU Member States are not yet listed. Final polymers will be covered by a specific resin list. As for migration testing conditions, they will be comparable to European requirements, but differ in the details, e.g., 4% acetic acid in comparison to 3% acetic acid (European legislation) will be used to simulate acidic foods. For dry food, the modified Poly(phenylene oxide) (MPPO) will not be established as a simulant in Chinese testing. While many of the details will be similar to the specifications and provisions in European or FDA regulations, there will be several differences and each case will need to be reviewed individually. We are here to help! Intertek's regulatory and scientific consultants actively follow regulatory developments around the world and have been focusing on the latest developments in China. In order address the latest developments and provide an opportunity to connect with members from Chinese regulatory authorities, Intertek will be offering a Conference on October 12-13, 2016, in Munich, Germany. For more information visit: http://bit.ly/china-food_contact. Today's expert blogger is Jürgen Towara, an accomplished Scientific & Regulatory Consultant within Intertek Health Environmental & Regulatory Services. 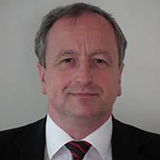 He is a senior food contact expert and head of Food Contact Consultancy in Europe. He has more than 15 years of experience in the regulatory field of food contact and related areas.